In the horrific Penn State/Sandusky child-sexual-abuse scandal, a Pennsylvania appellate court dismissed criminal charges against former Penn State officials, including the former president and athletic director, after ruling that Penn State’s former GC failed to provide Upjohn warnings and breached the attorney–client privilege by providing grand-jury testimony against these officials. This ruling produces several stories, but for in-house and outside lawyers representing corporations, this case provides a roadmap of what not to do when dealing with corporate officers. The Commonwealth OAG subpoenaed former Penn State president (Graham Spanier), finance officer (Gary Schultz), and athletic director (Timothy Curley) to testify before the investigating grand jury regarding matters related to former Penn State defensive coordinator Jerry Sandusky’s sexual assault on young boys. Penn State’s General Counsel, Cynthia Baldwin, met with these three officials prior to their testimony, accompanied them during a preliminary OAG interview, and sat with them during their grand-jury appearance. Baldwin did not provide the officials with any Upjohn warnings or otherwise explain the difference between her representation of the officials in their individual capacities rather than as Penn State employees. She did not advise them of their Fifth Amendment right against self-incrimination, but told them that information they relayed to her was not confidential because she may inform the Board of Trustees. Prior to the grand-jury testimony, Baldwin did not tell the supervising judge whether she represented the officials in their individual capacity. When the judge advised the officials of their rights as grand-jury witnesses, he indicated that they could confer with their counsel, signaling Baldwin. Baldwin sat beside the officials during their testimony. The officials confirmed that they were “accompanied by counsel,” and Baldwin never indicated that she represented the officials solely in an agency capacity. Following their grand-jury testimony, the Commonwealth charged the officials with perjury and failure to report suspected child abuse. The officials retained private attorneys and notified Baldwin that they considered her as their lawyer and that they were not waiving the attorney–client privilege. Baldwin responded that she was Penn State’s counsel and did not represent them in their individual capacities. The Commonwealth called Baldwin to provide grand-jury testimony, and in doing so she disclosed communications between her and the officials. Based on this testimony, the Commonwealth filed additional charges against the officials for obstruction of justice and conspiracy. The officials moved to quash some of the charges because Baldwin breached the attorney–client privilege by testifying without authorization to waive the privilege. The question was whether Baldwin acted as the officials’ individual lawyer during the grand-jury process or solely in their agency capacities. The trial court denied the motions. 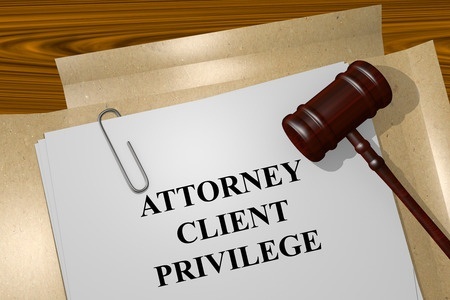 The appellate court disagreed and ruled that Baldwin and the officials had an attorney–client relationship and their communications fell within the attorney–client privilege. The court found “beyond cavil” that their meetings occurred for the purpose of rendering legal advice. As for the Penn State GC, the court ruled that Baldwin did not “adequately explain” her role and, while the officials knew she was the university’s GC, it is “unreasonable to conclude” that, as laypersons, they understood that she represented them only in an agency capacity. The court found “decidedly inadequate” Baldwin’s telling the officials that she may reveal their conversations to the Board of Trustees. And the court held that Baldwin’s representation did not protect their Fifth Amendment rights. Because of this conduct, the court quashed the charges of perjury, obstruction of justice, and conspiracy. Because of the Baldwin fiasco, the Commonwealth must forego pursuit of serious charges related to child sexual abuse. 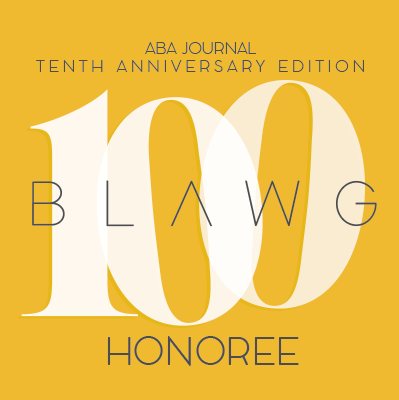 Beyond the societal implications, the case serves as a stark reminder of the importance of corporate counsel providing thorough Upjohn warnings when discussing issues with corporate employees. The Upjohn warning should inform the employee that counsel represents the corporation, not the employee; that the interview is confidential and conducted for purpose of counsel’s rending legal advice to the company; and that the attorney–client privilege protects the discussion. The warning should specifically inform the employee that the corporation may, in its sole discretion, choose to waive the privilege and disclose the conversation to third parties, including government-enforcement agencies. If given verbally, counsel should prepare and read the warning from a script to ensure consistency, and then attach the script to counsel’s interview notes or summary memorandum. It is preferable to have more than one lawyer present during the interview to refute any subsequent claim by the employee that counsel failed to provide the warning. Consider asking the employee to sign a written acknowledgement that counsel gave the warning. However, counsel should be mindful that asking an employee to sign an acknowledgement may produce a chilling effect on his willingness to provide candid comments. If the consultant asks whether he “needs a lawyer,” counsel should, consistent with ethical rules, inform him that he cannot advise him whether to obtain counsel but that he has the right to do so. Commonwealth v. Schultz, 2016 WL 285506 (Pa. Super. Ct. Jan. 22, 2016); Commonwealth v. Spanier, 2016 WL 285663 (Pa. Super Ct. Jan. 22, 2016); Commonwealth v. Curley, 2016 WL 285707 (Pa. Super. Ct. Jan. 22, 2016). What a disaster. How do you miss that? That is a question I cannot answer. I will say that the OAG told the officials that they were not targets, and later said he would not ask Baldwin questions calling for privileged communications yet did so; however, those facts do not excuse the failure to give Upjohn warnings and ensure they are apprised of their 5th Amendment rights.